Poonam Soni: Crowning Jewels - Bold Outline : India's leading Online Lifestyle, Fashion & Travel Magazine.
. When she surfaces from her quaint and delightful little office, she welcomes me with a warm smile and a hug, while telling me how busy she is. I have known Poonam for several years now and know for a fact that this ambitious businesswoman revels in her work, which is also her passion. Even when she says she is crazy busy, handling hundreds of things—her store, orders, multifarious events and launches in India and abroad—I can immediately spot the ubiquitous spark in her eyes and a satisfied smile while she says it. She manages all this with a coolness that is so characteristic of her. She, at once, attributes her sense of being to Buddhist chants that she has been practising religiously for many years. More on that later. “I wasn’t this calm always, she admits disarmingly. “Small things used to upset me earlier, but not anymore,” she adds. Today, she is focussed and determined, and this is clearly bringing her more and more success and honours. Poonam doesn’t care what the others are doing. Work and family are her entire world. 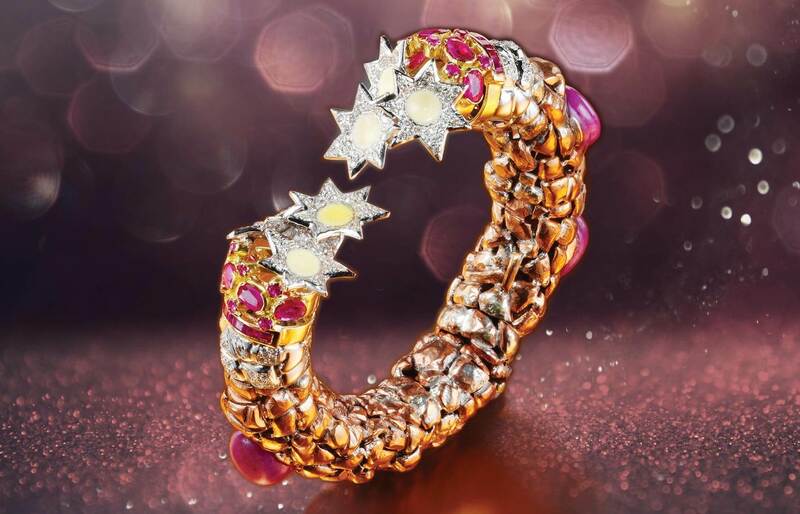 It is not every day that a jewellery designer is endorsed by Michael Kors, Lido of Paris, the Spanish government and Prince Albert II of Monaco. But, Poonam Soni has been. As for celebrity clients, wives of industrialists, and several Hollywood and Bollywood stars wear her jewellery with élan. 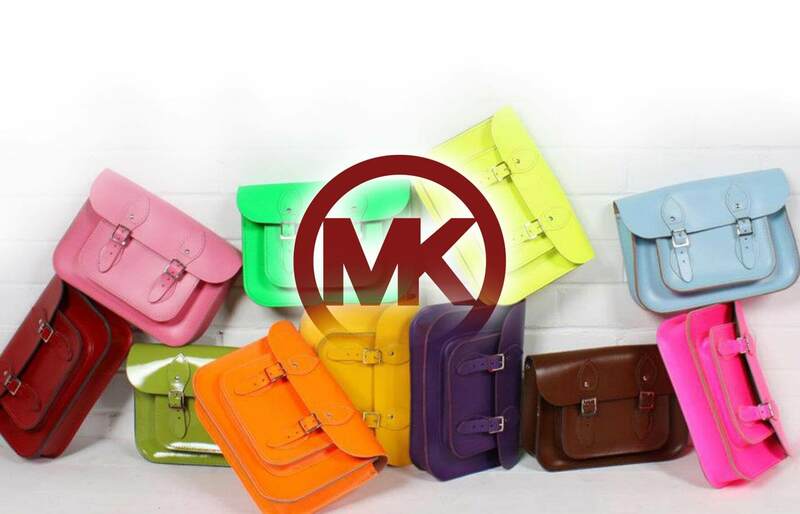 What’s more, renowned designer Michael Kors is seen sporting designs from her collection. One can add Amitabh Bachchan, Boman Irani and Sachin Tendulkar to this exalted list. Meanwhile, as she settled into married life and motherhood, she began to feel the urge to do something beyond just being a housewife. She wanted to make a mark, a need that has remained intrinsic to her. It wasn’t money that excited her, but simply succeeding in something she took up. She started off by giving tuitions to some children in the neighbourhood. But, that did not suffice, as her creative urge raged on. She had a passion for rare artefacts, and found herself visiting Chor Bazaar, befriending the shopkeepers there and before she knew it, she was curating exhibitions for them. Even this activity did not satisfy her creative sensibilities sufficiently. 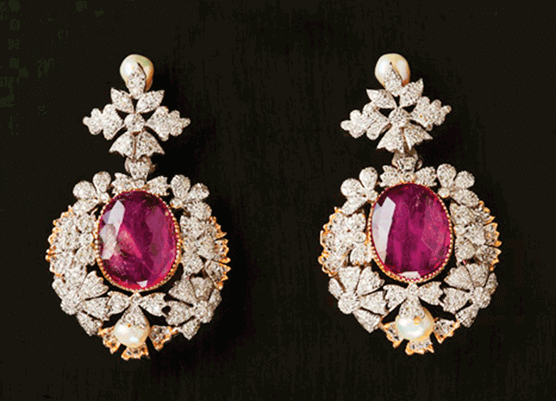 Poonam began by designing jewellery for herself. She had a friend who was in the business and requested him to execute her designs. However, it so happened that none of his people could fathom how to. “It was beyond them to visualise my designs,” she says. But, he did get Poonam a karigar so that she could work with him directly. This was one step towards her dream to do something big. Requests from friends, relatives and acquaintances poured in. What she designed were far removed from what you would find at your traditional jeweller. They were rebellious, bold, made a statement and they spoke to the person wearing them—they were bespoke, an unheard-of concept in India then.“ Initially, I did it for free, but I got tired of that model,” asserts Poonam. She wanted to take her design aesthetics to the next level, and her husband, who complements her feisty nature by being the strong and silent supporter, stood solidly by Poonam’s side as she got her wings and was ready to fly. In 1989, Poonam made a splash by registering her eponymous brand name, Poonam Soni Signature Line, another first, in the country. Without any family legacy in the business, Poonam was treading dangerous waters, but she was confident of her skills, her revolutionary ideas. She had already broken the norm by floating her brand, and when it came to her jewellery, she broke some more rules. She belligerently put semi-precious stones and the best of the precious stones together to create mind-blowing and striking designs. For once, jewellery was something to be worn and flaunted with your glad rags rather than bought for investment purposes, only to be hidden in lockers. And, naturally, there were many takers. 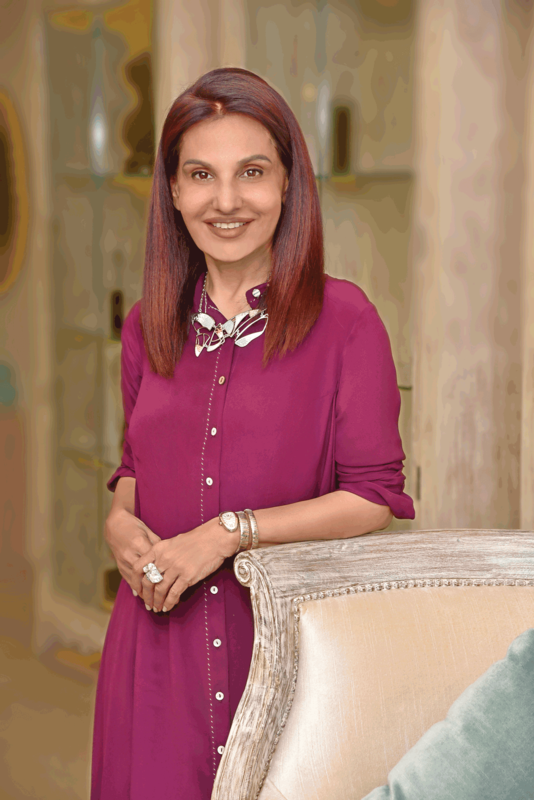 Powerful women like Vasundhara Raje Scindia, Shahnaz Husain, Ritu Mallya and Shobha Kapoor wanted to possess a bit of Poonam Soni’s eclectic collection. “Initially, people like actor Jeetendra’s wife Shobhaa Kapoor would sit on my bed and select their designs,” says Poonam. This was only until 1992, when Poonam had Juhi Chawla, now a good friend, inaugurate her first boutique in Fort, Mumbai. Over the years, Soni’s brand has grown in leaps and bounds. In 2006, the LVMH Moet Hennessy group invited her to showcase at the opening of the Incredible India show in Paris. In 2010, she was part of the Eco Art Parade to be auctioned by the famed auction house Sotheby’s at Abu Dhabi under the patronage of Sheikh Nahayan Al-Nahayan and Prince Albert II of Monaco. Soni designed a Falcon Sautoir with a hand-painted face and the body with precious diamond in unique shapes and hand-painted Moghul theva. The who’s who of the world attended the auction. She remembers, “Members of the royal families, and people like Richard Branson were present at the occasion, bidding for the most exquisite pieces which were showcased on a giant screen.” Poonam’s piece sold at the second highest price. 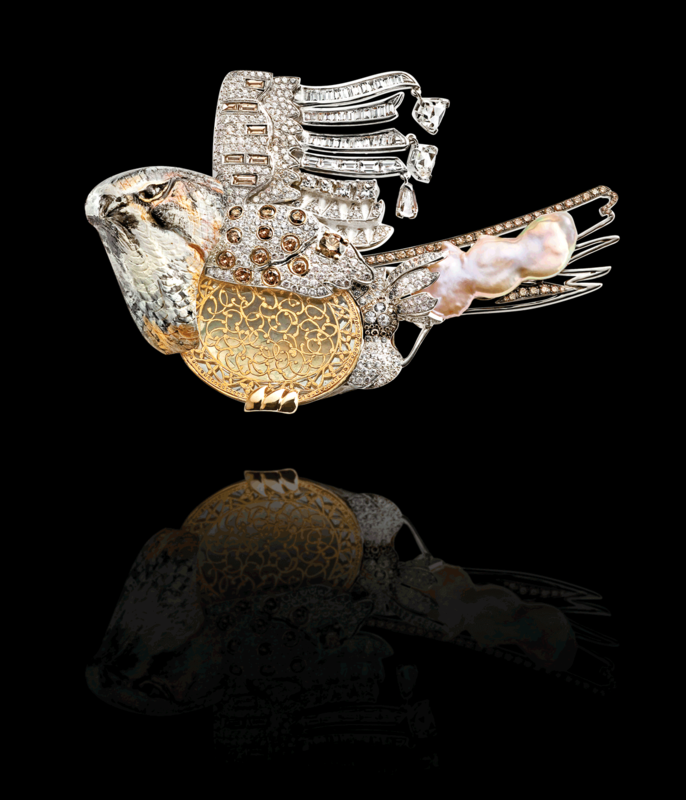 The famous falcon brooch is the Poonam Soni Insignia today, which later went on a global tour and was auctioned by Lord Mark Poltimore of Sotheby’s. Poonam was the India representative and rubbed shoulders with other internationally renowned jewellers. The priced piece later featured in a coffee table book endorsed by the Prince. This auction and its sweet aftermath was a new high for the designer. Poonam thinks this was the moment when she turned a new leaf, it was a turning point in her life. She most definitely wanted to have more of the world she was witnessing. “I felt I had arrived,” she smiles contentedly. After all the international acclaim, and representative offices in New York and Monte Carlo, it was time for Poonam to concentrate on home turf. 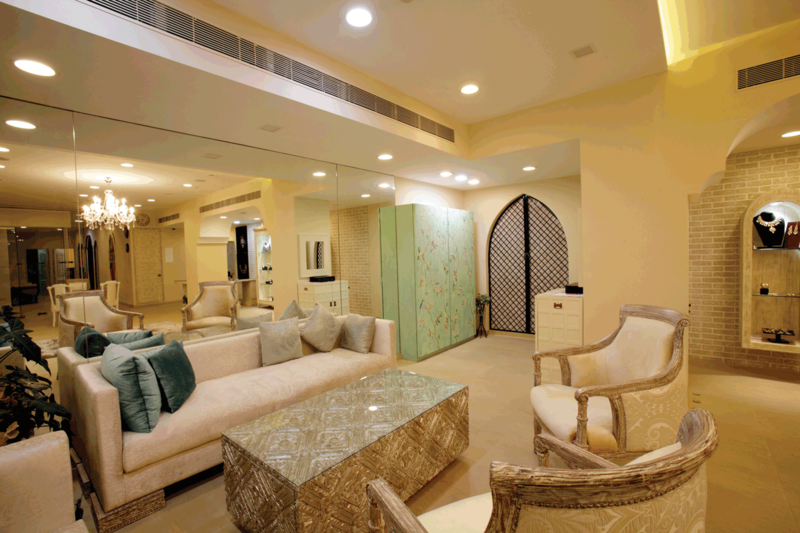 That dream saw the creation of this beautiful and extravagant boutique, which she and her elder daughter Kriti designed themselves. It is a heavenly amalgamation of pure white on the one hand and a dash of colour on the other. “That is how I wanted it,” she says of the contrasting theme. Taking her wish to establish further in India, Poonam launched a prêt line, Jewels Eleven. And, as a vindication to her skill and pulse of the market, it was showcased at the New York Fashion Week. Her daughters Kriti and Esha mean the world to her. Both have inherited their mother’s creative influences and have made her proud with their achievements. While Kriti was a recipient of the International De Beers Millennium Award at the hands of Anthony Oppenheimer at the Louvre in Paris when she was merely 20 and today works in tandem with Poonam, Esha, who is settled in the US, is an integral part of the fashion industry there. After working as the Director of Collections for none other than Michael Kors, she moved up the ladder, and is now the Vice President at Ralph Lauren accessories. Poonam is also a doting grandma to her grandsons. As I mentioned before, Poonam is an avid chanter. A setback in her husband’s business a few years ago rocked her family’s peace. It was a tough phase, and Poonam remembers resorting to astrology, tarot card reading and fasting as a last-ditch effort to resurrect their lives. “One day, I saw my store keeper, who would practise Buddhist chants,” she remembers. Poonam, however, was circumspect initially. When Kriti got into Buddhism, however, she coaxed her distraught mother to give it a try. “I started it, and believe me, my life is not the same anymore. I am more positive, more forgiving and have gotten rid of a lot of negative emotions like jealousy and anger. I have become more compassionate,” she endorses gratefully. In fact, when she collaborated with Terry Fox International Foundation a few years ago for a fashion show to raise money for Tata Memorial Hospital’s cancer treatment ward, it was almost an organic extension to the Buddhist philosophy she exhorts. Meanwhile, on the business front, the unstoppable lady recently introduced another line of fashion jewellery called MyGemme. These jewels, studded with European crystals in silver, will be sold at a competitive price. And, now we hear she was awarded as India’s Top 50 in Luxury by the Black Book. Adding another feather to her cap, Poonam was the only Indian to feature in Design Scapes, a Collectible Coffee Table Book which forms part of a library. She shares space with names like Christopher Burch. What’s more, Soni has become a member of Leadership Excellence at the Harvard Square University at the personal invitation of its President, Dan Hoeyer. So, what’s next? While right now, she is kicked about her impending trip to the US, with Poonam Soni, you can never tell. And, we are sure whatever she ventures into next will be something as revolutionary as her jewels!